Dresden manor is summer house built at the end of 18th century. 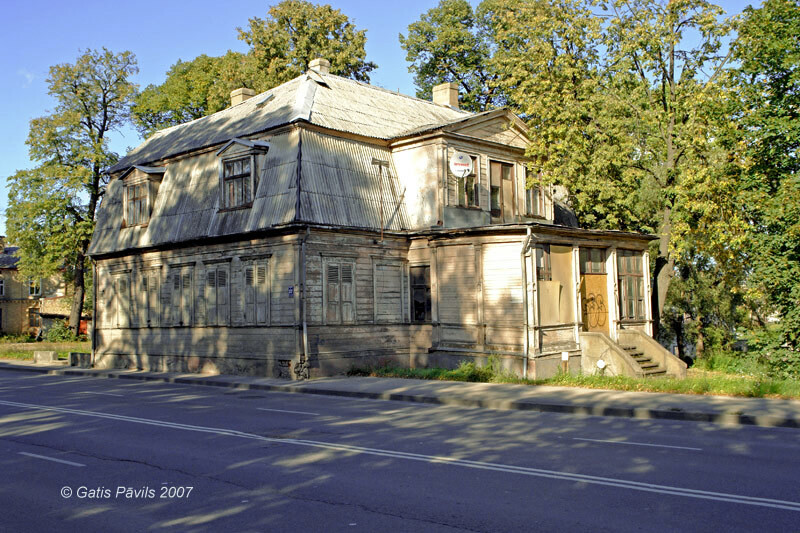 It is told that it has been built by its owner, justiciary and writer Carl Gustav Dresden - he came to Riga from Cesis in 1760ies. In his second marriage he was married to the daughter of Riga wholesaler G.L.Berner - Catrina Elizabeth - she and her minor daughter inherited manor after the death of Dresden. Contradicting to the above said J.C.Brotze mentions that the manor house was built by commercial counsellor Meno Holst before Dresden. 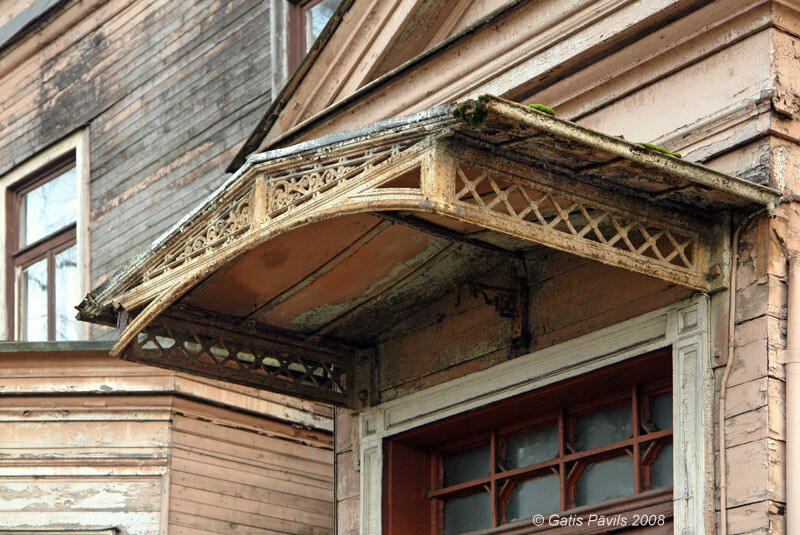 Boarding of facade and planning of the building was changed in 1874 and 1912, slate roof came instead of tile roof, Barocco style dormers were removed and veranda built. In late 18th century the house was decorated by fire urn. Entrance was directed to the Causeway of Philosophers and not to Daugavgriva Street. Above the entrance there stood balcony. Nowaday this wooden building has got one floor, asymetric planning with French roof. The general outline of Barocco time building has been preserved. At the beginning of 1980ies there was dismantled the household building of this manor house - it was built in late 18th 18th century. 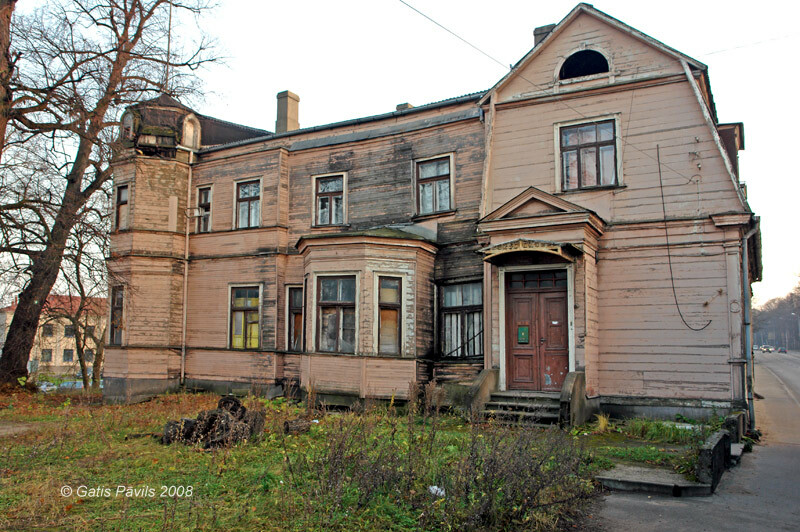 Dresden manor is very endangered - it is planned to demolish it in order to extend Daugavgriva Street - this street now goes closely along this building. Dresden manor closely next to Daugavgrivas Street. 2008.11.12. Dresden manor - foundry metal shed. 2008.11.12. Koka Rīga, Rīga, 2001, 92., 96. lpp. Kaupuža D. Rīgas muižiņas, Latvijas architektūra, Rīga, 2005, p.95. Latvijas Piļu un muižu asociācijas mājaslapa, visited on 17th June 2009. Broce J.K. Zīmējumi un apraksti, 2.sējums, Rīga, Zinātne, 1996, pp.33., 280., 287. Enciklopēdija Rīgas ielas, 2.sējums, Rīga, 2008, p.242.